A lovely shot of Andrew Scott at the 2015 IFTAs. (He lost to Stephen Rea). Screencap by Linnet. Why the delayed broadcast? Extra insurance, I suppose, after the 2014 show went overtime by almost half an hour. They figure that the audience mainly wants to see the red carpet anyway, and the big stars. But they’re taking away the things that make awards shows simultaneously excruciating and interesting: the corny jokes, the suspense, the reaction shots, the thank-you speeches. Yes, I complained about the show last year. But I would like to judge for myself which bits make it worthwhile, rather than be fed a glossy recap by some producer. 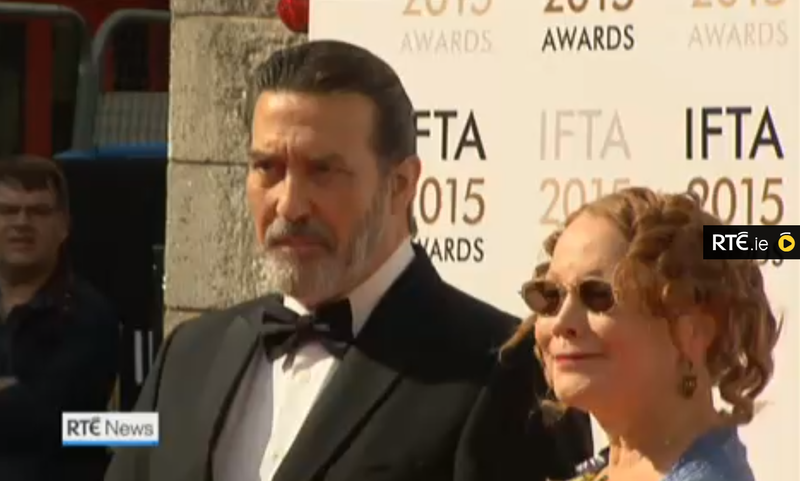 Ciarán Hinds and his date (friend Kate Thompson) at the IFTAs. Screen shot by Linnet from RTÉ. I take an interest in the IFTAs because, as you can see, a certain Actor makes regular appearances there. And beyond that, it’s a good look at a group of very creative people, whose work I always gravitate toward anyway. Last year, Ciarán Hinds was nominated as Best Actor for The Sea, but lost to Brendan Gleeson in Cavalry. (He wuz robbed, but I’ll spare you a dive into that water under the bridge.) Still, the lovely Sinéad Cusack won Best Actress for The Sea. 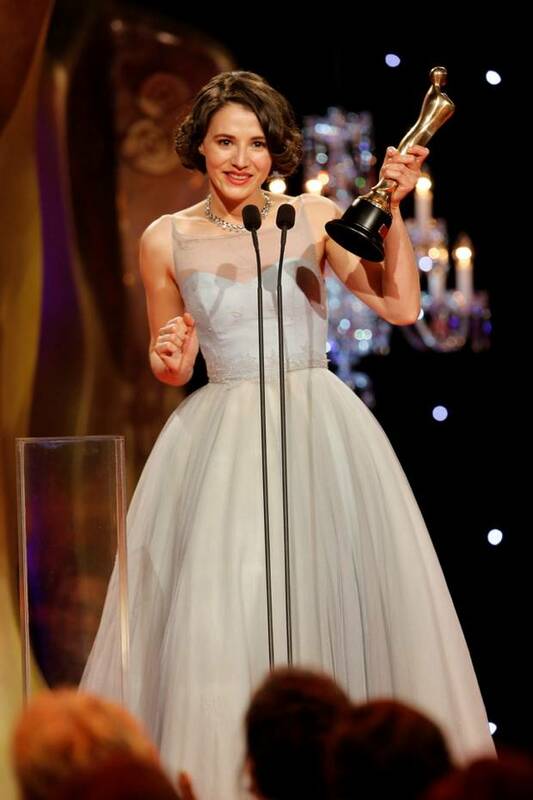 Her award was collected by her husband, Jeremy Irons. Other Persons of Interest at the show included Michael Fassbender, who won for 12 Years A Slave, Jamie Dornan (recognized as a “rising star”), and the real-life Philomena, who was escorted to the stage by another of my favorite fellas, Steve Coogan. 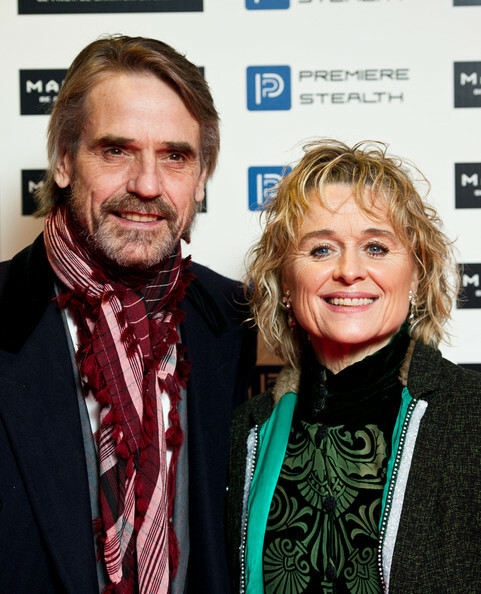 Sinéad Cusack with husband Jeremy Irons. Click for source (Zimbio). Sinéad Cusack with the man she calls her “other husband”–they have worked together several times. Photo: Abbey Theatre. This year director Jim Sheridan ( My Left Foot, In The Name of the Father) received a Lifetime Achievement award, presented by Sean Bean. 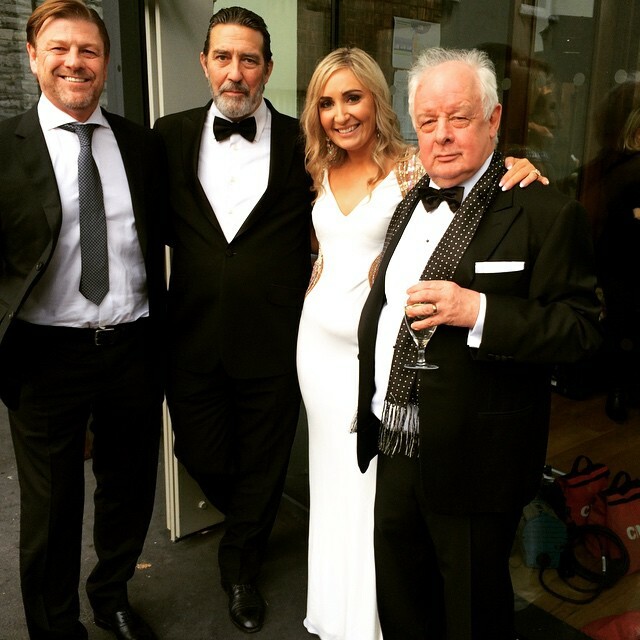 Jim Sheridan receives his award, and Ned Stark meets Mance Rayder. Image from Instagram. Aiden Gillen won Best Actor in a Drama for “Charlie” (this screenshot spares you his terrible haircut). 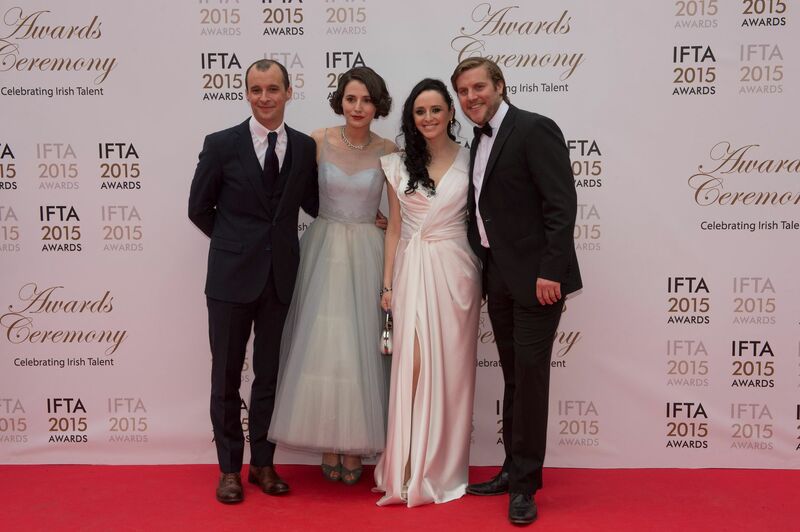 Tom Vaughan Lawlor was also nominated for Best Actor in a Drama. 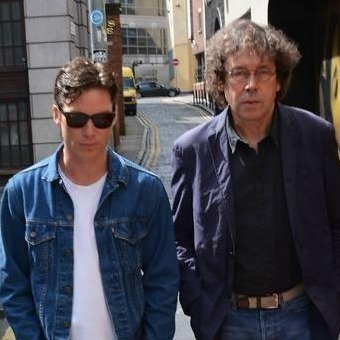 Cillian Murphy and Stephen Rea (both were in “Ballyturk”). Click for source. The Love/Hate crew were big winners this year. IMHO Charlie Murphy’s dress was the loveliest. A closeup of Charlie’s dress. She looks stunning, like a brunette Grace Kelly. And who wins the Worst Dressed award? Sorry, Amanda Byram, but this ice-dancer/feather duster combo is heinous. Better luck next time! That said, the production of the show is not always top-notch and the writing of the patter for the hosts is poor. I have to concede, the line-up is pretty impressive at the moment. The production… well… I completely believe you. Charming, maybe? LOL, that’s about right. The “parochial” aspect is actually something I enjoy. People there are comfortable and having fun, not freaked out and trying to impress the world. Yes, they are great together, onstage and onscreen!